In the middle of the 1920s, the role of photography was much debated in the United States. It was questioned whether photography can be something more than just a technical aid in producing a more precise replication of reality. Photography hitherto enjoyed a primarily scientific, but not at all artistic, reception. 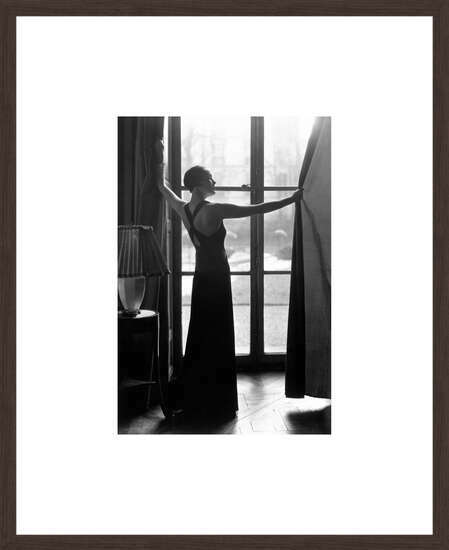 At precisely this point, Man Ray, who moved to Paris in 1921, began to use photography in a radically surrealist way. For Man Ray, the medium of photography had always been more than a mere technical reproduction material, even though he had first been introduced to it as such. In it, he discovered a multilayered, artistic means of expression. It is important to add that he was originally a painter, drawer, and object artist, which he remained for the rest of his life, even though photography came to take a prominent place in his work. The European avant-garde and their ultra-modern presentation techniques already fascinated him, together with Marcel Duchamp, even before leaving New York. Skilled in all things technical and happy to try new things, he worked with an airbrush gun and irritated the New York art world with pictures that could no longer be categorized. None other than André Breton labeled him as pre-surrealist, shortly after his arrival in France. One could not have received a higher compliment from the grandfather of surrealism. Originally very Dadaist, Man Ray broke with the one-dimensional roles attributed to him and preferred to invent his own. Among his new, artistic forms of expression belonged Rayography, a special photogram technique, along with the photographic process of solarisation that he developed in the 1930s and long kept secret. 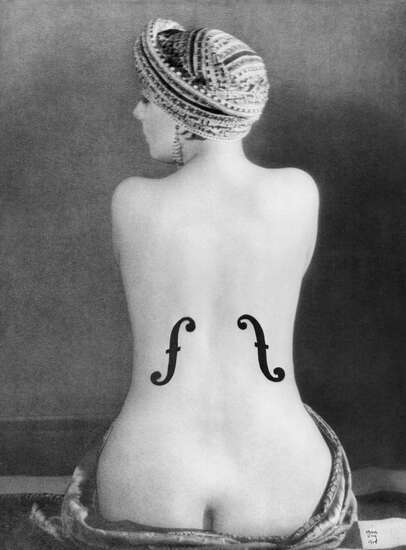 Man Ray was and remained in a category of his own. His preference was for cross-genre projects. In the medium of photography, as well as film, he saw as a new opportunity for artistic expression. The impulse from his multilayered, fascinating work, continues to inspire many photographers and artists until today. 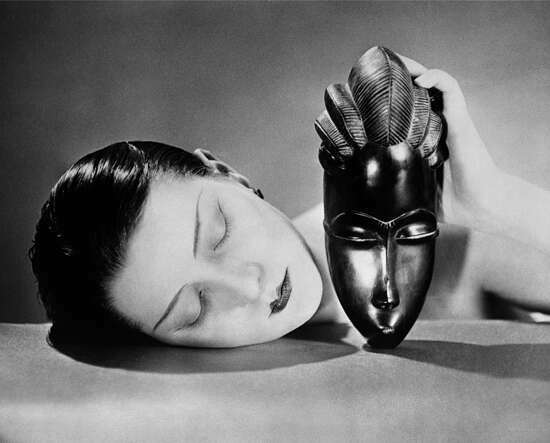 It is especially telling that such fashion magazines as “Harper’s Bazaar” or “Vu,” in his day, took closer notice to Man Ray than the critics of the traditionally defined art scene, with the rigid categories of that time. 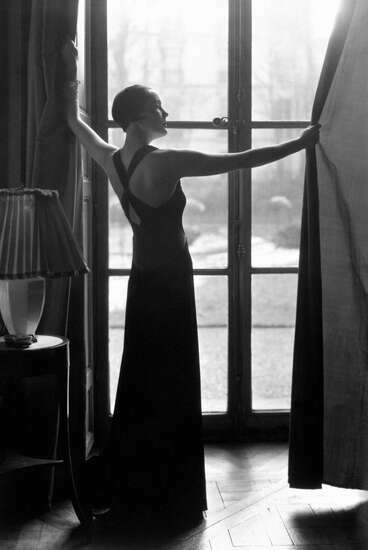 In Paris he was regularly booked as an experimental fashion photographer. But he also learned to make serious portraits of artists and authors such as Gertrude Stein, James Joyce, or Ernest Hemingway. A special place in his oeuvre of photographic artwork that became immortal was held not just by himself, but also by two women who often modeled for him: Kiki and Lee Miller. 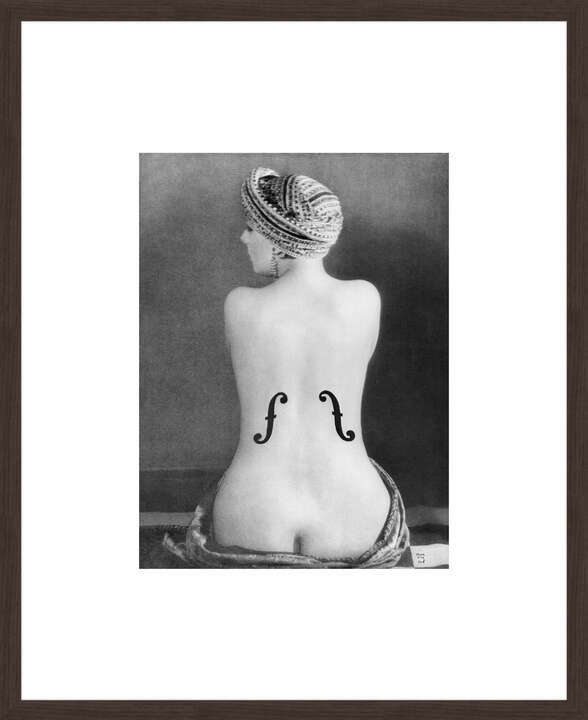 Man Ray transformed the dark-haired, erotically sensual Kiki into a female violin, in a play on a motif by Ingres. The blonde, classically strict Lee Miller, in comparison, was often captured as a classic beauty in the form of a solarisation statue. One should never forget: these images, which today have long been held as classics of modernism, once made some art critics red with anger and were far ahead of their time. Not everyone yet understood what the expressive potential of photography could be. 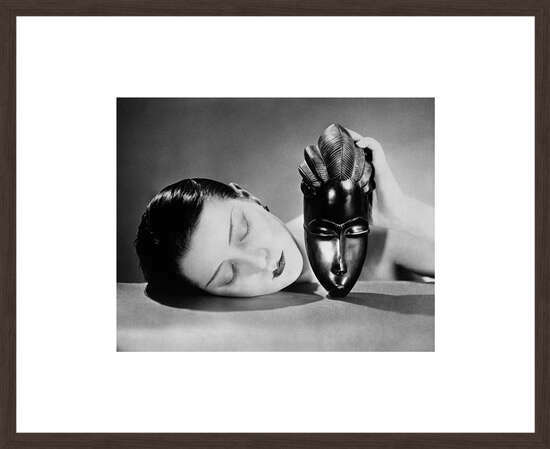 Man Ray’s sense for innovative composition design and surrealist analogies between objects found particular artistic expression in his works, in which he would take the motif of a head and skillfully isolate it in the picture, combined with masks or other art objects. He thereby drove the contrast of what is artistic and what is natural to a peak. The teardrop image of Kiki is also world famous. It functions as a photogenic, surrealist reflex from the depths of human sub-consciousness, implemented with the simplest of technical material, but with superbly irritating and intentional artificiality. 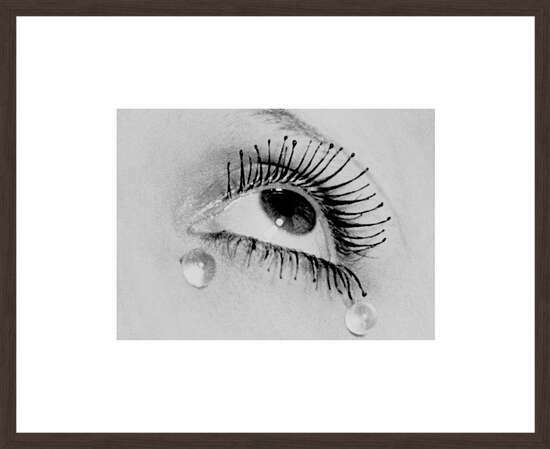 Kiki’s eyes, which can be seen in detail on large prints, melt with the glass tears and artificial eyelashes to a third element that stands on its own. 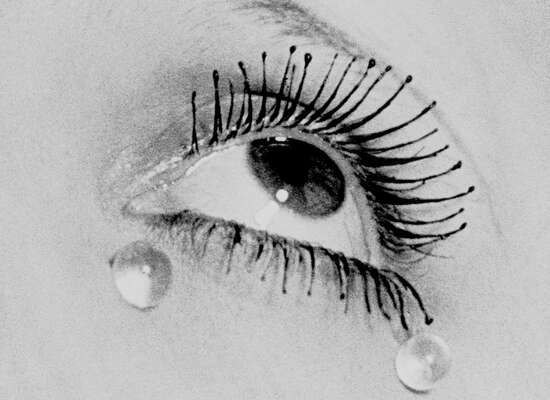 One has to admit: Man Ray’s work belongs to the great and grandiose moments capturing aesthetic modernism. 1922	First portrait works, including Picasso, Georges Braque, Juan Gris, Henri Matisse etc.